Hytronik’s product range is comprehensive, including devices such as high bay daylight sensors, PIR sensors and microwave sensors. Regardless of whether your project is a brand new installation, or a retro-fit project, Hytronik has a simple solution to make your high bay lights more energy efficient. Of course, this list is far from exhaustive. The biggest challenge with lighting such large areas is energy efficiency. Hytronik’s high bay occupancy and motion detectors enable you to easily install or retrofit an intelligent lighting control system, so that the high bay lights are only on when they are needed. Businesses, who are responsible for paying the power bills for lighting large spaces experience considerable reductions in their power bills, after a Hytronik detector-based control system has been installed. The below table details the range of products available and their respective functions. Hytronik’s high bay sensors incorporate either a microwave sensor, or a both a PIR sensor and a microwave sensor. Hytronik refer to this type of sensor as a ‘dual sense’ sensor. 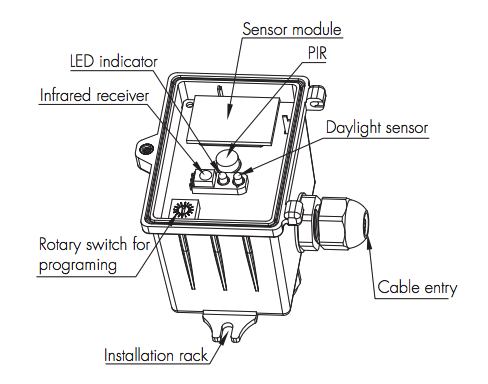 High bay PIR sensors are best suited for detecting motion across the sensing field, where as microwave sensors are excellent at picking up motion coming toward the sensing field. Different lenses are available to narrow the PIR sensors detection field. This helps to overcome problems, such as a sensor picking up motion in an adjacent aisle. The most commonly used dimming technologies in industrial lighting applications are DALI dimming and 1-10V dimming. Hytronik manufactures high bay sensors which are compatible with either one of these dimming technologies. Hytronik has developed a range of sensors, which incorporate specific functions for different applications. 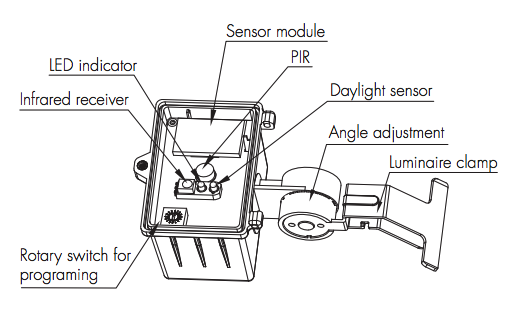 High bay daylight harvesting sensors have an inbuilt daylight sensor. This monitors the amount of natural light available in the target area. If the level of natural light drops below a preset minimum level the high bay lights come on to supplement the available light. The brightness of the high bay lights is adjusted in accordance with the amount of available natural light. Hytronik also offers high bay sensor with a feature called Tri-Level control. This is basically corridor lighting control. If no one is in the target area the lights are off. Or they could be set to a low light level, which is particularly useful for security lighting applications. If someone enters an adjacent zone the lights come on at a preset lighting level. When the person moves into the immediate zone the light switches to full brightness. After the person has left the lights remain on for a preset hold time, after which the light dims for a preset standby period or switches off. One of the big advantages Hytronik high bays sensors give you is remote programming. 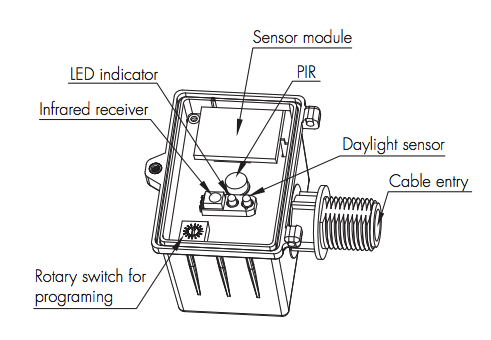 This means that there is practically no cost involved if the sensor’s programming needs to be altered. Some other sensors require you to close off the immediate area so that a scissor lift can be brought in to access the sensor. 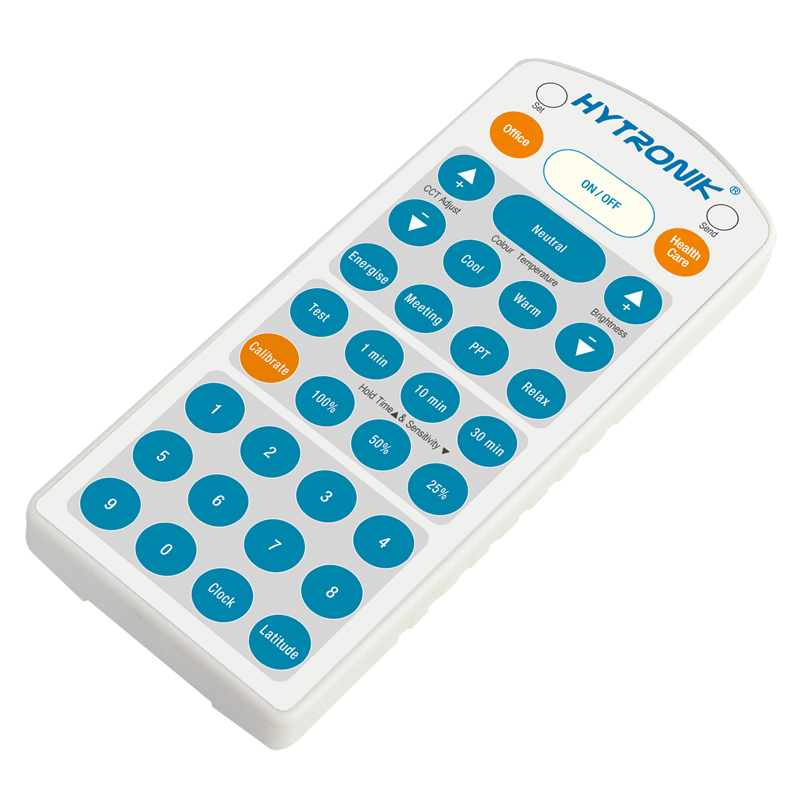 With Hytronik, you just point the remote control at the sensor and change its settings. If there is a power interruption the sensor always reverts to the last setting that was programmed. Hytronik offers a range of high bay sensors that include wireless RF communications. This eliminates the need for control wiring to be installed between fittings, making it easier and more cost effective to install the system. This type of sensor can be set up to act as both master and slave. This is very useful in corridor lighting control applications. If a person has moved into an adjacent zone the sensor will act as a slave, reacting to the control signal coming from the sensor in the adjacent zone. Once the person is in the sensor’s target zone, the sensor will then behave as the master passing control signals to the slaves in adjacent zones. This is by far the most popular mounting option. The sensor simply clamps on to the light fitting and has a hinge to adjust its orientation towards on the target zone. 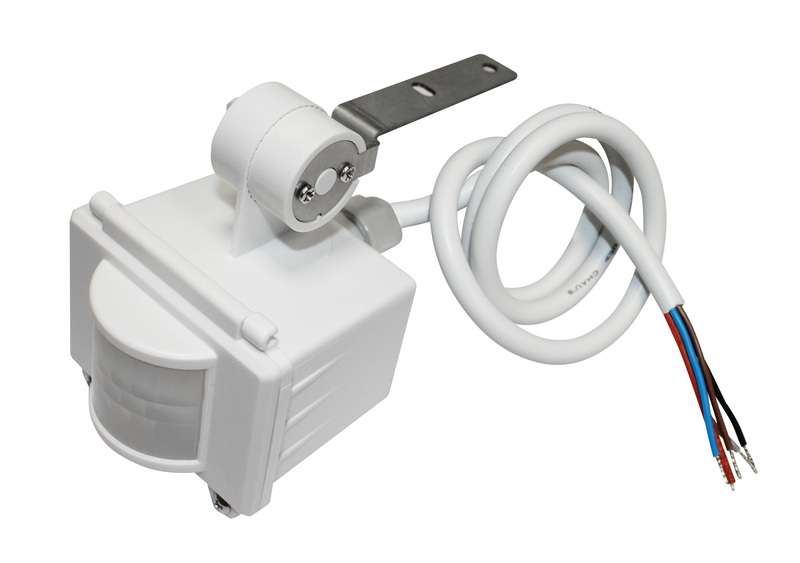 The sensor can be mounted on any flush surface, such as a ceiling. 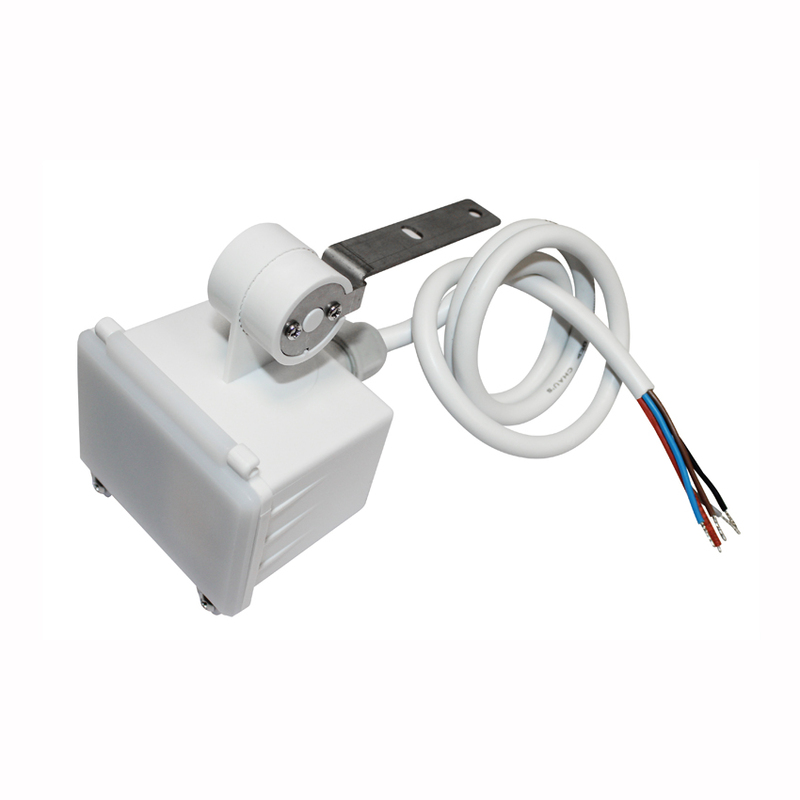 This type of sensor can be mounted through a 20mm hole, or onto a 20mm conduit. Call ADM on 1300 236 467 for further information on the Hytronik range of high bay motion and occupancy sensors. A member of our expert team will gladly answer any questions that you may have.